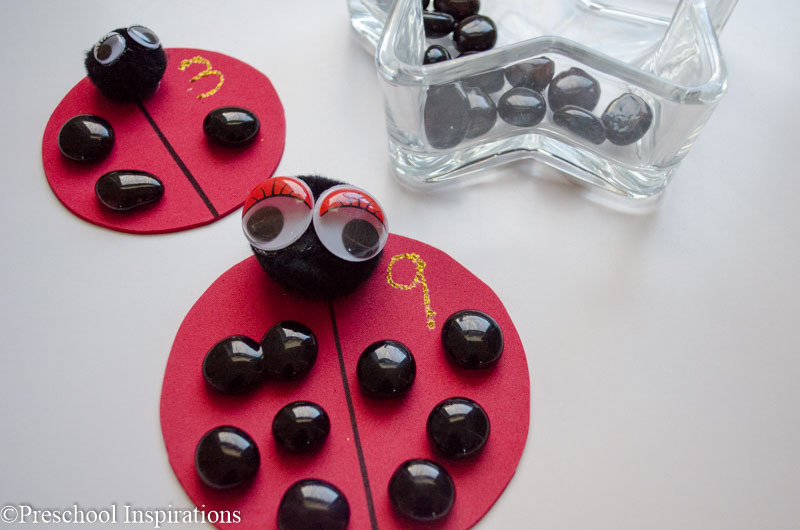 Ladybugs are a favorite bug among preschoolers, and they are especially fun for counting! I made this busy bag for my class so that we could work on quantity, counting, and even tracing numerals. 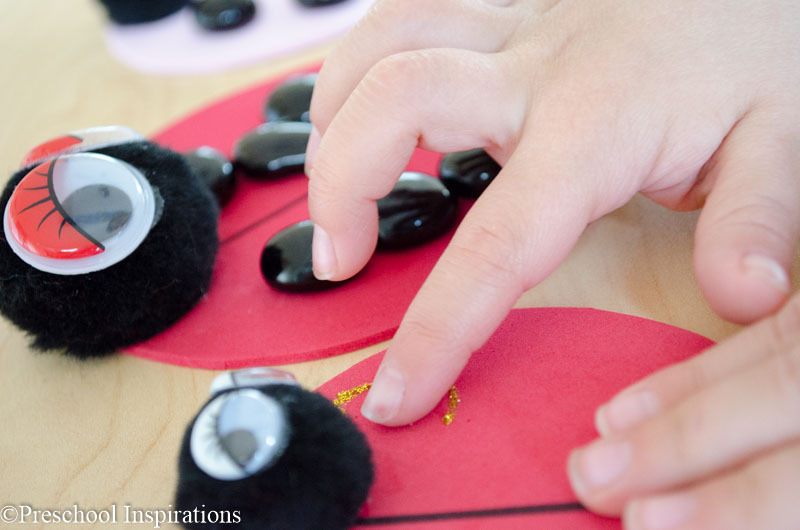 The ladybugs are made of circles that I cut out from foam. I used two sizes, a smaller one that holds up to five glass beads. Then there are larger ones that can hold up to 10 glass beads. The heads are just pom poms with googly eyes, which I attached with fabric glue (and tacky glue would work great as well). To make this a tactile activity and encourage the children to practice writing the numbers, I wrote the numeral with glitter glue. 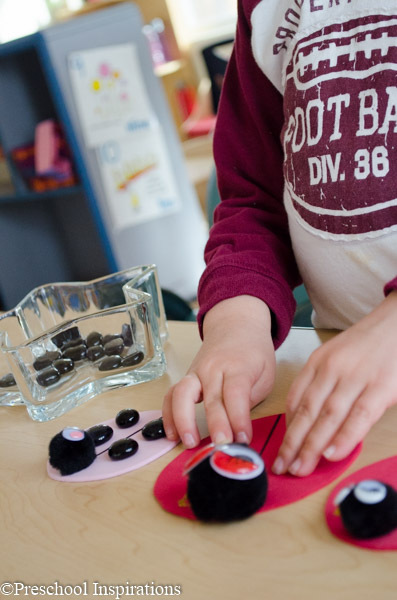 The texture is perfect for this activity, and the whole class enjoyed running their fingers along the bumpy and glittery numbers. I just invited the children over and they chose which numbers they wanted to start with. We traced the numeral, then they added the glass beads, counting them until the correct numbers were on the ladybug. 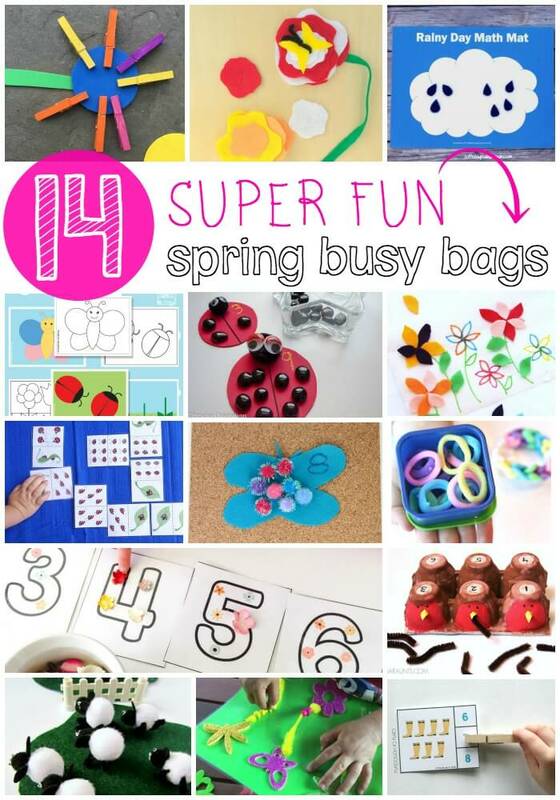 Now I want to share some more incredible spring busy bags with you! Visit one of my friends below to see another great activity! So cute!! And my little guy LOVES ladybugs! This is so clever!! My three year old is going to love it. Thanks for the fun idea!